Great Connections is one of Ontario’s most successful full cycle employment services agencies. Our reputation has been built upon our ability to successfully place permanent, contract and temporary staff of the highest calibre across a growing number of specialist sectors. Our experience in diverse placements is a competitive advantage, not only for Great Connections, but also for our clients and employees. As a result, we are a preferred staffing partner for Fortune 500 and other industry leading companies, as well as enterprising local firms. We provide superior 24/7 customer service and leading-edge technology in the staffing industry. Great Connections’ team of highly-qualified consultants has diverse expertise and industry experience. This breadth of experience enables our industry professionals to accurately assess each project's staffing requirements and place the right candidates to ensure a great connection. With our first-rate recruitment process, industry network of recruiting experts, as well as our exceptional track record of providing highly-dependable employees, we take the risk out of our clients’ human resource decisions. Great Connections strives excellence to commit the highest quality standard being achieved. 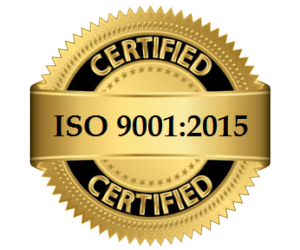 As an ISO 9001:2008 Certified organization, our quality is regularly measured and assessed to ensure continuous improvement.